If you are interested in learning to ride, the first thing you must do is learn about horses. Keep in mind that horses are not just vehicles. They are living, breathing beings, and each one is an individual, just as you are. Before you begin riding, it’s a good idea to take some lessons in ground work with horses. Learn to lead, feed, groom and simply be around horses. Being familiar and comfortable around horses will go far toward helping you learn to ride successfully. Here are 6 simple horse riding tips for beginners that you may find helpful. 1.1 What Should You Wear To Handle Or Ride A Horse? 2 2. Protect Your Head! 3 3. Use Your Whole Body To Guide Your Horse! 5 5. Be Light Handed! 6 6. Take Short Rides At First! Even with a very gentle and settled horse, horseback riding can be dangerous. If something scares your horse, you could easily be run-away-with, thrown or dragged. That’s why it is so important to dress correctly for horseback riding. What Should You Wear To Handle Or Ride A Horse? Your legs and arms should be covered. Wear sturdy jeans or other riding pants and a long-sleeved shirt. You’ll need to have steady footing on the ground and footwear that keeps your feet properly positioned in the stirrups. The ball of your foot should rest lightly in the stirrup with your toes pointing up and very slightly out. Wear comfortable, sturdy riding boots with good traction and a one-inch heel. A boot made of sturdy leather protects your toes in case your horse accidentally steps on your foot. Good traction helps you prevent slipping, and a slight heel keeps your foot from slipping through the stirrup. If you are thrown or fall off, you do not want your foot to be caught in the stirrup. If you have to walk back to the barn, you want to have comfortable footwear! Just as when riding a bicycle or motorcycle, you need a helmet when you ride a horse. Look for a properly certified, horseback riding helmet, or if you are a multi-discipline sort of athlete, try a multi-purpose helmet! One of the best ways to stay in the saddle is to pick the right horse. Start out with an older, quieter horse who is used to beginners. There’s actually a lot to learn about good form, technique and horsemanship. A settled mount will give you the opportunity to learn these things and will even teach you. A “hot” horse will challenge you every step of the way and make learning very difficult, if not impossible. Once you are in the saddle, relax and use good posture. Sit comfortably on your sit bones, breathe and feel the rhythm of the horse’s movement. Allow your body to move along subtly. Keep your balance and hold your seat with the strength in your thighs. Don’t grip with your heels or press unnecessarily with your knees. 3. Use Your Whole Body To Guide Your Horse! Hold your reins lightly. You should not have to move them much to let your horse know what you want to do. You can also indicate direction by shifting your body weight left or right, forward or back. Gentle pressure with the inside of your knee and calf lets your horse know you want to move one direction or another. For example, if you want to move or turn left, press gently with the inside of your right knee and calf while lightly moving the reins to the left and shifting your weight slightly to the left. With practice, you will be able to convey your intentions to your horse without appearing to move at all. When you are riding, always look ahead and all around. Be on the lookout for things that may surprise or frighten your horse. Be prepared to change your course to avoid unnecessary disruptions. Whether you ride western or English, you do not need to saw on your horse’s mouth. You should just barely feel contact between the horse’s mouth and the bit. Your hands should be comfortably positioned just above the pommel or saddle horn. Your elbows should be at your sides. If you find yourself raising your hands high or poking your elbows out like wings, you’re doing it wrong. Relax, breathe and get back into a comfortable and contained position. 6. Take Short Rides At First! When you ride a horse, you are not just sitting there. Riding with correct posture and a good seat is a core body, isometric workout. If you aren’t used to riding, a long ride will make you achy all over, especially in the inner thighs. 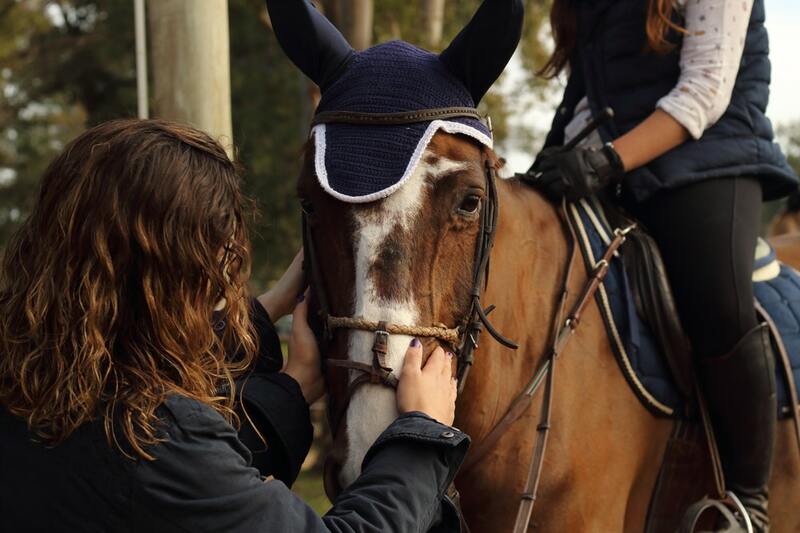 As a beginner, take your time to build up your seat and develop a good relationship with your horse. You will soon come to realize that no matter how many years of riding you have behind you, you will learn something new every day when you pursue excellence in horsemanship.